Emergency Dentists USA is your premier resource for a Rancho Cucamonga emergency dentist who suits your needs. From a chipped tooth to a painful abscess, our convenient listing of emergency dentists makes it simple to see a great dentist without the hassle of wandering the streets of a new city. The hand-selected emergency dentists offer you the dental services that you need exactly when you need it. From after hours dental clinics that are open as early as 7 a.m. to see you before you head to the office or out on a tour to clinics with late evening appointments until 8 p.m. Some of our exceptional Rancho Cucamonga emergency dentists even offer after hours appointments on the weekends to suit your busy schedule. Choose a great dentist by scrolling through our convenient list or use our 24-hour emergency hotline to speak to a live operator who is always standing by to help you make that appointment. He or she can also help you to select a dentist who is near your home or hotel. Emergency Dentists USA offers you the most convenient listing of Rancho Cucamonga emergency dentists available for your dental emergency. Simply scroll through our listing and find the dentist with office hours that suit your needs. Choose a dentist and get right on your way to recovery. Walk-in dental clinics – Dental clinics that allow patients to come in without an appointment are not available in Rancho Cucamonga, but hospital emergency rooms to not require an appointment regardless of the time of day or day of the week. Emergency 24-Hour Dental Clinics – Clinics that specialize in being open 24 hours a day are generally attached to a university. Rancho Cucamonga offers a selection of hospitals with emergency departments that are open 24-hours a day. After Hours Dentists – Dentists in the Rancho Cucamonga area are extremely flexible with their office hours. You can visit Monet Dental Group even on a Saturday when your dental problem becomes too painful to handle. The Emergency Dentists USA website is designed to make it easy for you to select a new Rancho Cucamonga emergency dentist even when you are suffering from a painful dental emergency. Simply scroll through our hand-chosen listing of Rancho Cucamonga emergency dentists below, and select the dental clinic that is nearest your home or hotel or that offers the office hours that suit your needs. Use our 24-hour hotline to speak with a live operator who is standing by to help you choose a great new emergency dentist right now. DescriptionThis city in Southern California is in a very highly populated area, and when here, you may feel left out in the dark when an abscess or infected tooth becomes a large problem. Just call our emergency hotline, and you’ll be amazed how fast we can get you in a skilled dentist’s chair. From teeth whitening to dental implants, Mercer Dentistry is standing by to care for your teeth right now. Drs. Shirley and Thomas Mercer work hard to make your experience at Mercer Dentistry pleasant and comfortable. State-of-the-art technology and flexible office hours make this dental clinic your new “regular” dentist or your new emergency dentist regardless of your dental condition. Mercer Dentistry offers early morning hours beginning at 7 a.m. on Wednesday and Friday for your convenience. Located just south of Victoria Gardens, Monet Dental Group invites you to share an extraordinary dental experience today. Open as early as 7 a.m. on Fridays and offering Saturday office hours until 4:30 p.m., Monet Dental Group offers routine and emergency dental services with six dentist on site. Visit Dr. Khani for pediatric dentistry and ensure that your children have healthy teeth throughout their lifetime. Monet Dental Group offers teeth whitening, crowns, dental implants and veneers along with a variety of emergency dental procedures. Rancho Cucamonga Smiles Dentistry offers a variety of dental services for both children and adults including crowns, teeth whitening, dental implants, wisdom teeth removal and oral surgery. Visit Dr. Wissa for your dental emergency whether you are experiencing a broken tooth or a lost crown or filling. Priding themselves on excellent service, the staff at Rancho Cucamonga Smiles Dentistry works hard to make you feel comfortable during each procedure. Open until 3 p.m. on Saturdays, this dental office ensures that you are seen as quickly as possible when you have a dental problem. Offering special services and reduced pricing for families without dental insurance, Rancho Cucamonga Dental Care works hard to help you to get a great smile. From veneers to replacing a missing tooth with a dental implant, Dr. Lee invites you to have a free or low cost examination and x-rays to ensure that your dental journey begins with attention to detail. Open until 8 p.m. on Tuesday and Wednesday evening, Rancho Cucamonga Dental Care offers convenient hours so that you can receive quality dental care without missing a day of work. – Most emergency dental clinic visits are similar to regular office visits. An emergency dental clinic offers routine dental care like x-rays and exams along with more complicated dental procedures and emergency services. – Have your paperwork, health records, and insurance information ready. Bring this information with you to visit your new Rancho Cucamonga emergency dentist to help him or her choose a treatment plan that suits your needs. – Arrive 15 minutes early to facilitate filling out paperwork. This also offers you plenty of time to ask any questions that you might have regarding your dental services. – Make sure you know how you’re going to pay and if the dentist accepts your form of payment, cash, credit, or insurance. Many Rancho Cucamonga emergency dentists offer low-interest payment plans to help to offset the cost of larger services. – Make sure you know if your insurance is accepted at this dentist. Choosing an in-network dentist helps you to save money when the time comes to pay the dental bill. – Just like any medical visit, make sure you know if you have any allergies to medicines. Bring a current list of your medications with you to visit your new dentist. – Do you have intense dental anxiety or fear? Let the office staff know about your dental fears, and they can help you to relax during your procedure. A common dental emergency can strike 24-hours a day and seven days a week, making it tough for you to reach your regular dentist. Emergency Dentists USA offers a wide range of Rancho Cucamonga emergency dentists who are always ready to address your dental emergency quickly. You might encounter a broken tooth or a tooth that is chipped. Another common dental emergency is a lost filling or a loose or lost crown. A fall might cause a dental emergency like a knocked out tooth or a tooth that is partially extruded. Other common dental emergencies include braces, brackets or wires that are loose or broken. You might have a tooth that has a painful abscess or a simple toothache. A soft tissue injury to the gums, lips or tongue is another common 24-hour dental emergency. You might also have something that is caught between your teeth that causes you pain. Visit a Rancho Cucamonga emergency dentist as soon as possible for any of these common dental emergencies. Reading advice on the EmergencyDentistsUSA.com website is not a substitute for seeing a medical professional. 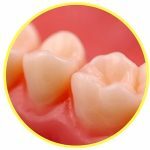 Every situation is unique and you should see a dentist for any of the dental emergencies listed below. An abscess is a dental emergency that can actually become quite dangerous. 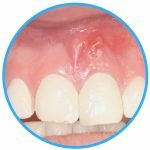 An abscess is an infection in the gum below the teeth or between the teeth. This type of infection can spread to other areas of the mouth including the bone of the jaw. Rinse your mouth with warm salt water to draw the pus from the infection to the surface of the gum. Use a cold compress to reduce the pain and swelling on the outside of your mouth. Visit your Rancho Cucamonga emergency dentist as soon as possible. Soft tissue injuries of the mouth include damage to the tongue, the lips, the gums or even the cheeks. 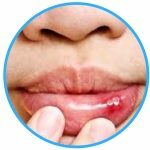 You can use a cold compress against the outside of your mouth, lips and cheeks to reduce swelling and to less the pain. Use a moistened piece of gauze applied with steady pressure for at least 10 minutes to stop any bleeding in the mouth or outside of the mouth. Visit your Rancho Cucamonga emergency dentist as soon as possible for treatment. A lost filling is a common dental emergency that can occur while you are chewing gum or eating foods that are sticky. This type of emergency might not be painful if the tooth decay has not reached the sensitive internal portion of the tooth. Use a small piece of sugarless gum to fill the empty cavity. Do not use gum with sugar as this can cause pain. Visit your Rancho Cucamonga emergency dentist as soon as possible to have the filling replaced. You might require an emergency tooth extraction if you have a tooth that has decayed to the point where a dentist is no longer able to fix it. It is important to visit the dentist as soon as possible to ensure that you do not have complications or increased pain. Your dentist will usually begin the tooth extraction by first taking an x-ray of the tooth and performing a thorough examination. He or she then chooses a general or local anesthesia to keep you comfortable during the extraction. A special dental tool is used to remove the tooth from the gum, and the gum is stitched closed using a type of suture that dissolves over time. A small piece of gauze is placed over the gum to control any bleeding. Your gum should fully heal within one to two weeks. During the healing time, it is important to avoid eating hard foods and to avoid drinking through a straw. You should take any medications as directed and avoid drinking alcohol and smoking until the gum is healed. Visiting the emergency room is a great idea if you have a dental trauma that begins with an accident, a sports injury or even a fall. Heading to the emergency room allows you to be examined by a physician who can examine to ensure that you are healthy enough to visit your Rancho Cucamonga emergency dentist. If you have a common dental emergency like a lost filling, a broken tooth or even a soft tissue injury to the mouth, your dentist is prepared to take care of your dental emergency. He or she is equipped to handle tooth repairs and often charges less than an emergency room. Visit a Rancho Cucamonga hospital if your dental emergency begins with a fall or a sports injury. It is always important to speak with a hospital physician if you might have injuries other than your tooth trauma. Use the American Dental Association’s website located here to check your new dentist’s current licensing and certification. 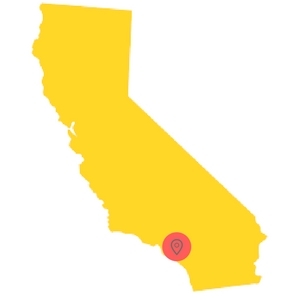 You can also access the California Dental Association’s website here to access excellent tips for brushing and flossing correctly and to learn more about dental services in the state of California.